Event: REWILD Our Planet – Singapore’s 1st Social AR Experience « Tech bytes for tea? « Infographic: How Often Should You Change Your Shaver Blade? Singapore’s first social Augmented Reality (AR) Experience is free and kicks off today. The free exhibition at the ArtScience Museum will be open daily from 10am to 7pm for two months until 2 June, 2019. “Rewild Our Planet” was developed using footage from Our Planet, a new Netflix Original Documentary Series, leveraging Google’s ARCore technology. REWILD Our Planet is a collaboration by WWF, Google, Netflix, ArtScience Museum at Marina Bay Sands and PHORIA, highlighting the urgency of restoring nature. Explore the forests of Borneo or dive deep into the coastal seas of Southeast Asia with “REWILD Our Planet”. The experience connects people to nature and one another through immersive storytelling that blends cutting edge persistent AR technology with stunning content from Our Planet, a new Netflix original documentary series. It combines spectacular IMAX style projections with spatial soundscapes and AR to transport visitors to the last wilderness landscapes on Earth – from vast Arctic ice caps to the remote jungles of Borneo and coastal seas of Southeast Asia. 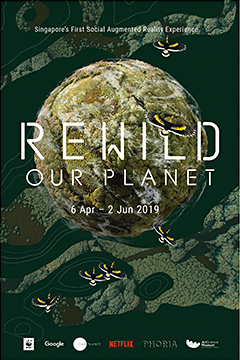 At REWILD Our Planet, visitors can interact with the environment and each other to understand how collective action is desperately needed to restore balance and protect the Earth’s vibrant and diverse natural habitats. The sensorial experience connects people to nature and one another through immersive storytelling that blends cutting-edge AR technology with stunning 4K video footage from Our Planet. Our Planet a new Netflix original documentary series voiced by world-renowned naturalist, Sir David Attenborough, that launched yesterday. REWILD Our Planet is built around four natural landscapes representing the last wilderness places on Earth. 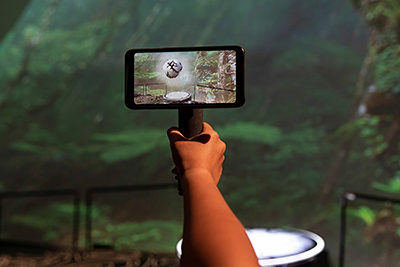 Combining spectacular IMAX-style projections with spatial soundscapes and AR, the experience unfolds through the lens of the Google Pixel 3, where groups of participants can work together to build natural landscapes in 3D. They will unlock global weather patterns and magical animal encounters, ending with a deeper understanding of shared solutions and a meaningful pledge to act and help bring nature back. Beyond showcasing the breathtaking diversity of our planet, the experience is also intended to drive important conservation conversations, highlighting the fragility of the planet and the negative impacts of humankind. “AR brings vision to computing. It can enable our computers to perceive the world like we do and display information immersively, in context of the world. 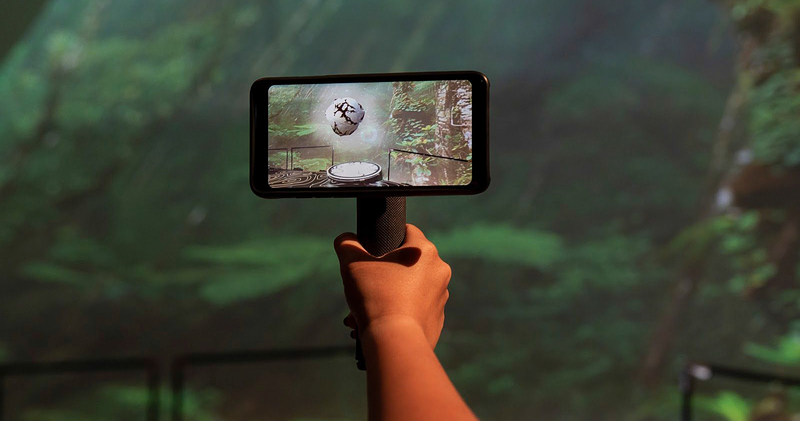 ARCore provides simple, yet powerful tools for building perceptive, immersive and accessible AR experiences such as REWILD Our Planet to connect people with nature and each other. With 250 million devices now supporting ARCore, developers like PHORIA can bring these important and meaningful experiences to an even larger and growing user base,” said Miguel de Andrés-Clavera, Head of Creative Technology of Google APAC. It shows a path forward by pointing to solutions, so participants come away understanding not just the threats that face our planet, but also what must be done collectively, ensuring people and nature can thrive alongside each other. The experience uses footage from Our Planet, an eight-part series that showcases the planet’s most precious species and fragile habitats, revealing amazing sights on Earth in ways they have never been seen using the latest in filming technology. From the creators of the award-winning series Planet Earth, and the result of a four-year collaboration with Silverback Films and WWF, Our Planet combines stunning photography and technology with an unprecedented, never-before-filmed look at the planet’s remaining wilderness areas and the rare and wonderful animals that call these places home. “Our Planet is the definitive nature documentary event of our time and Netflix’s most ambitious documentary project to date. We are proud to bring great and vital content like this to millions of people worldwide, informing and inspiring them towards taking action for the greater good. With REWILD Our Planet, we are taking this one step further by showing how stories can come to life in a way that spurs us all to help improve our environment. We couldn’t be more delighted to do this in concert with amazing partners like WWF, Google, PHORIA and ArtScience Museum of Singapore,” said Jessica Lee, Vice President of Communications for Netflix. The ambitious project was filmed in 50 countries across all the continents of the world, with over 600 members of crew capturing over 3,500 filming days. Software Development Kit (SDK) that works with Java and Unity and Unreal, and includes Application Programming Interfaces (APIs) that bring AR to mobile devices without requiring any special hardware. PHORIA’s unique digital twin system which, once activated with Google’s ARCore, enables the 2D content to break free from the screen and seamlessly flow into the space around users. 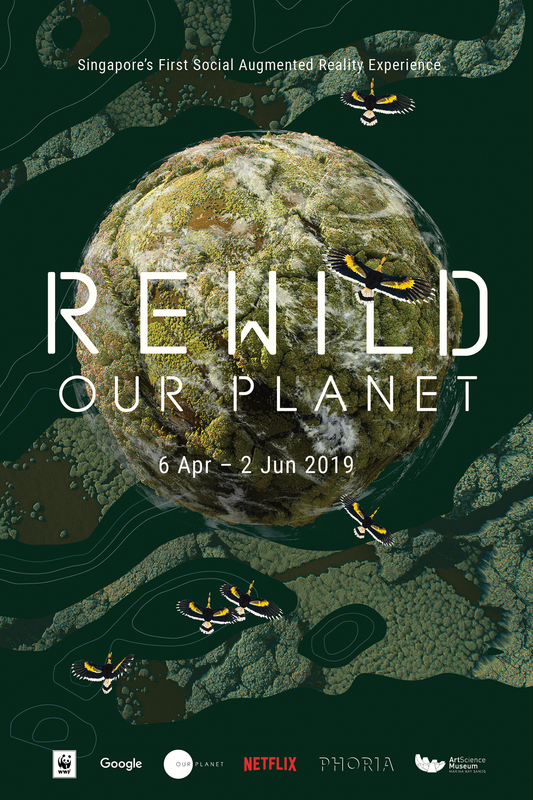 REWILD Our Planet has been engineered in a modular way to pop up remotely anywhere in the world, and the AR activation has brought together a world-class line up of venues to bring its experiential conservation message to the world. ArtScience Museum at Marina Bay Sands in Singapore is its first stop, with the experience later travelling to Dolby SoHo in New York City and We The Curious in Bristol, each venue bringing with it a unique, personalised flavour of the region. This entry was posted on Saturday, April 6th, 2019 at 4:51 pm and is filed under audioVisual, Education, Entertainment, Google, Launch, Press Release, Shows, virtual reality (VR). You can follow any responses to this entry through the RSS 2.0 feed. You can leave a response, or trackback from your own site.